Going to PAX? Here’s your one stop spot for all Ska Studios PAX happenings. 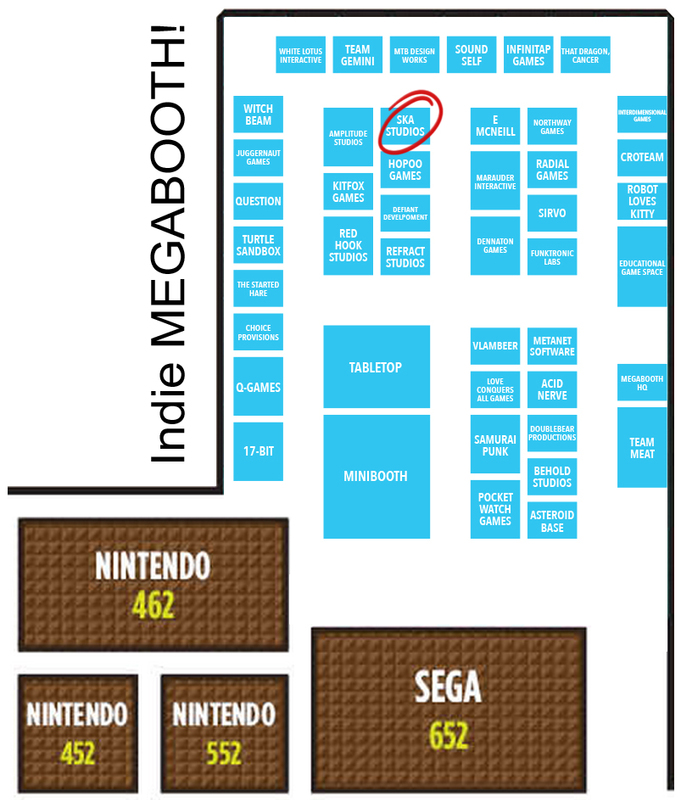 You can find us within the Indie MEGABOOTH, booth number 783, indicated by the red circle on this here map! We’ll be there showing our new game, talking to people, perhaps signing things and selling some merch. For further map-type-graphics, check out the handy Penny Arcade Expo guidebook! Our booth isn’t the only place you may find us. We have two panels this year! What:“Be So Good They Can’t Ignore You: Tales of Successful Indies”. What: “Until Game Over Do Us Part: Life and Love as a Dev Couple”. Stay tuned for more news tomorrow morning! If u see the ppl from robotloveskitty asi them to release for xbox ir Windows Phone!!! Are you going to post a vido of your panels on YouTube or something?